I'll take just about any excuse to enjoy beer and it's even better when I can claim it's also philanthropic. 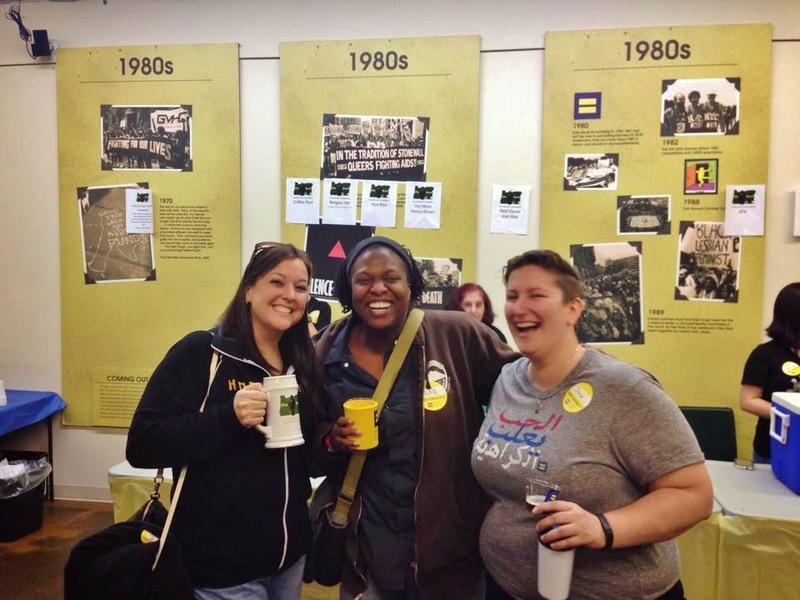 One smart organization, Her Human Rights Campaign (HRC), took advantage of the great Portland beer culture to throw a fundraising event that was part beer festival, part homebrew competition. To comply with regulations She Brew, a collaborative event between HRC and the Ladies of Lagers and Ales (LOLA), was a private, members-only event with pre-event memberships (and therefore entrance to the event) going for a mere $20. In addition to nine generous local breweries donating kegs, nine homebrewing ladies took the time to make a beer to donate to the festival. Surprisingly, out of the 18 total beers there were only two IPAs - Widmer's Upheaval IPA and one homebrew IPA. The homebrew was the first IPA this lady had brewed and while the lack of aroma hops was unfortunate, the other 13 hop varieties that were used combined to make one very tasty IPA. Each person was given one ticket to vote for their favorite among the homebrews presented. While the coffee stout and the CDA were my personal top two, it was the coffee red brewed by Jodi Campbell that took first place. 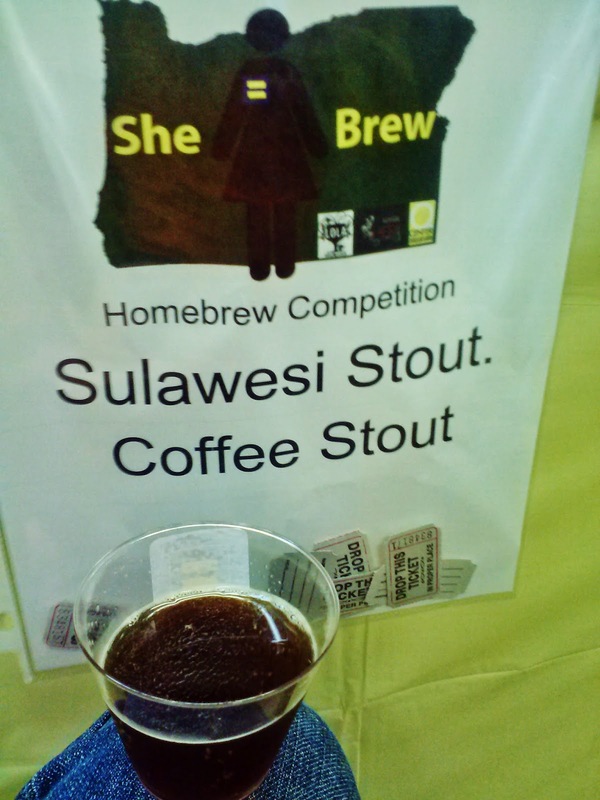 The coffee stout, brewed by Jamie Koty, took second place with the English Porter from Lee Hedgmon coming in third. This was a good first time event and I'm pleased that they are planning on doing it again next year. Huge thanks go out to the homebrewers and breweries that donated their beers! Finding a Lover Who's Also a Beer Lover? The downside is you'll have to supply your own beer & peanuts. I'm not single and hopefully my better half will keep me around for a good, long time. That being said if I was single I have to admit that for as shallow as it may sound, one of the requirements in a new partner would be that he enjoyed craft beer. It's been a long time since I was on the market, long before online dating (thank goodness). These days it seems like a fairly mainstream way of meeting people and instead of being weird it appears for some to be a viable way to meet Mr. or Ms. Right. It certainly can't be more awkward/difficult/worse than the old school plan of finding someone at a bar. Enter Craft Beer Mingles. I ran across this dating website on my Twitter feed and couldn't help but be intrigued with their tagline, "Where craft beer lovers find each other!" As I mentioned before, I'd need to make sure any future partners were craft beer lovers and while there may be a way to do that on eHarmony, Match, etc this seems a great way to get right to the point. You can bet I wouldn't be looking in bars that only served an assortment of BMC products so this seems to make sense, at least in theory. Have you heard of Craft Beer Mingles? Have you, or anyone you know, used it? I'm curious but not being in the market makes it hard to know if this is really a good option for singles looking to find a partner with the same drinking tastes. Is it too new yet and lacking a good pool of people? I'm a big fan of bar popcorn. You know the stuff. The popcorn machine sits in one of the dim corners of the bar supplying an endless amount of salty, buttery goodness. Get me going on that stuff and I'll power through a couple bowls of each with each pint. The popcorn I had last night was of a completely different ilk. 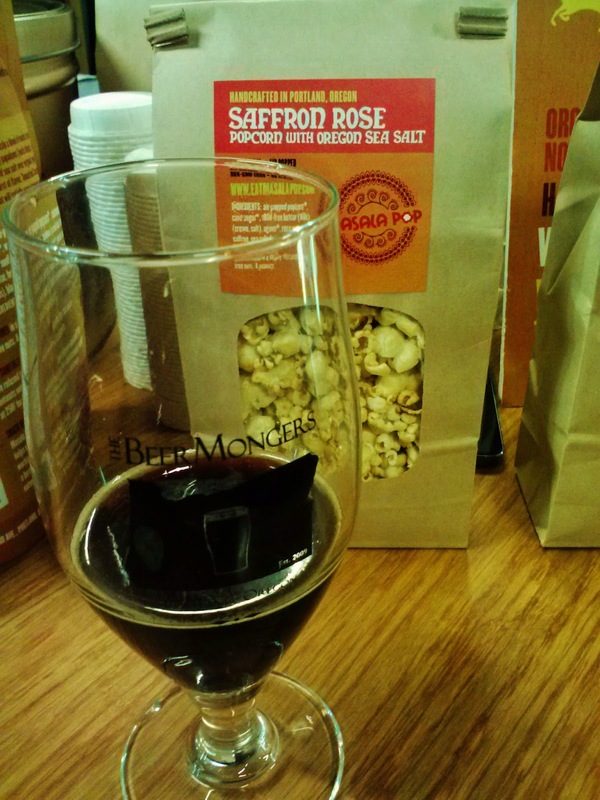 The BeerMongers is one of my favorite places in town and last night they had a beer and popcorn event. Representatives from Ballast Point were in town and Mongers had seven of their beers on tap ranging from ones I'd had before, like Sculpin, to new-to-me Indra Kunindra, a coconut curry stout. In addition they had local popcorn makers Masala Pop on hand sampling and selling popcorn with flavors like saffron rose and coconut curry. I didn't have the time to sit down and have every beer paired with each of their popcorns so I went with the most intriguing beer, Indra Kunindra, which Masala Pop paired with saffron rose popcorn. I was skeptical that the flavor of the popcorn would be powerful enough to stand up to the delicious but assertive coconut curry. Thankfully I'm the trusting sort when it comes to pairings because this was a good one. Indra is a meal in a glass with a fair amount of curry heat and the popcorn, while not strongly flavored in one direction, is some of the best "caramel corn" I've ever had and tempered the spiciness nicely. Those familiar with Mongers know there's a good chance at least some offerings from an event will still be available the next day. 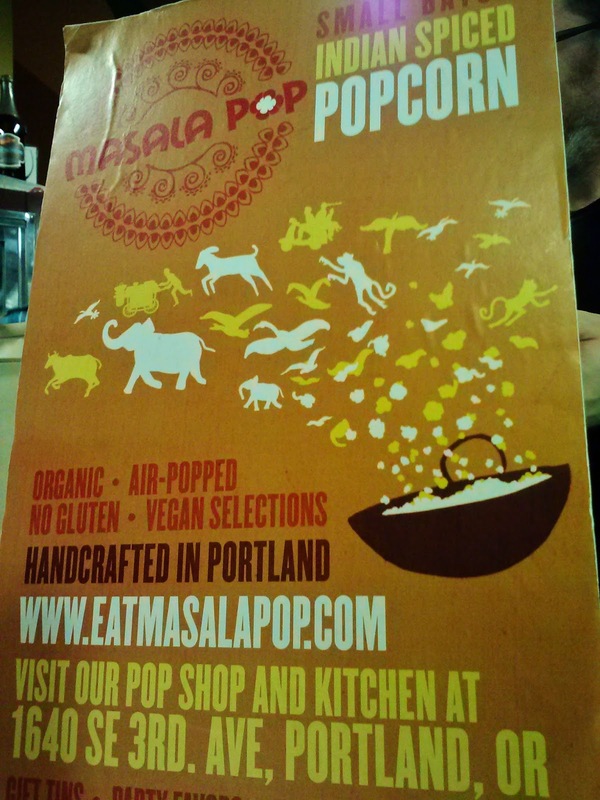 They also keep a supply of the savory masala popcorn available for purchase by the bowlful. In addition Masala Pop is available at a number of stores around town and since Mongers doesn't mind if you bringing in your own food, you could pick some up for your own pairing experiments. Not a bad Friday night plan, huh? Regret is one of the downsides of being a beer geek and it showed its ugly head this morning. 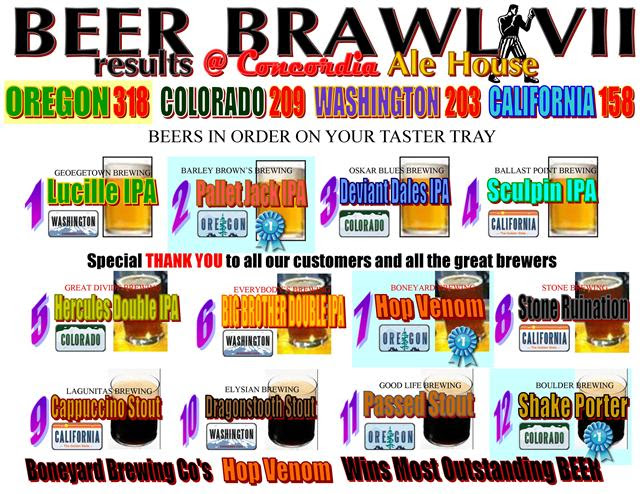 As I opened my email to see the results of Concordia Ale House's Beer Brawl VII and began perusing the names of the 12 beers that had comprised the taster tray a wave of regret swept over me. Sure, I'd had things going on but it wasn't like there hadn't been any opportunities for me to swing up to CAH for a tray. Rather I knew about it, kept thinking about going and in the end just didn't get around to it. This is a different kind of regret than, for example, last June when we took a beercation to Colorado during Portland Beer Week. 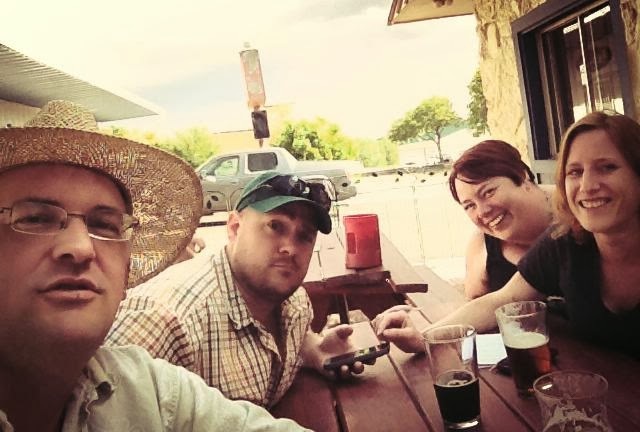 The trip was great fun - four days of delicious beers with friends from Minnesota. Nevertheless I regretting missing out on the Fruit Beer Festival, one of my favorites, and some of the other goings on that were happening in conjunction with PDX Beer Week for those four days. I presume if you're reading this that you, too, are a beer geek and as part and parcel you experience regret from time to time. 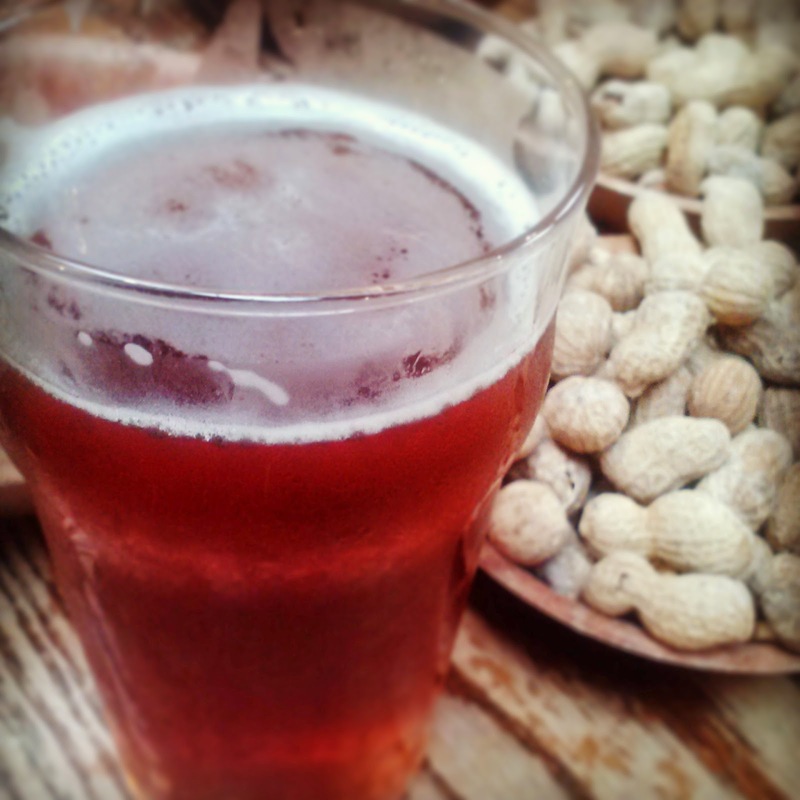 What has been a recent regret for you (perhaps missing out on a Pliny the Younger tapping)? 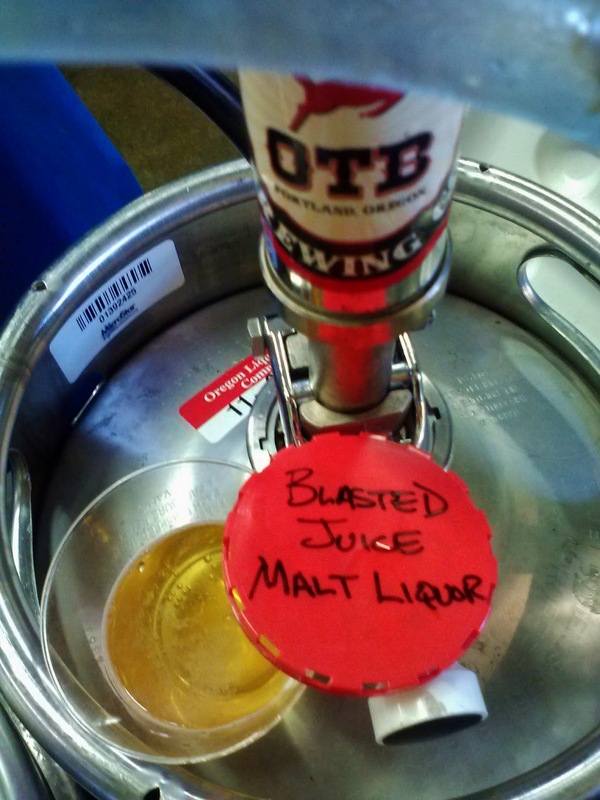 How about one of your biggest regrets (maybe not yet going to GABF after planning to for years)? P.S. After drafting this post, I did my morning Facebook feed check in only to see a post from a beer geek that is currently living overseas. He was feeling a bit sorry for himself that he didn't have any hoppy beers in the fridge. What he did have was a bottle of Cantillon. Regret or feeling sorry for one's self takes many forms.